Ughhh... How many events? Waiting for your review HH. Thanks. I'm sure you knew, but just in case, that's a photo of the character Patrick Bateman in the film American Psycho, it is weird though! What about the green planet stuff ? At that rate, we will all need personal power plants to run PCs. well.. threadripper looks like a success already, but vega have a long hard path to run... i think the pricing isn't that bad.. Damn that 1900x looks smexy, however lets see how hot it gets and how well it can OC. So much for the almighty HBM2, it has the same bandwidth as a Ti, except you know like most of us my Ti is running at 12ghz memory so that's well over 500gb of bandwidth. If HBM1 is any indication it won't OC very well and end up being worse than GDDR5x. Unless HBM3 is leaps and bounds ahead then I'd say GDDR6 is the future. Pricing seems good, especially when compared to the rumored prices a few days ago (500 or 550$). For complete system builders/changers, that extra 100$ voucher for the CPU+MOBO combo is neat. Plus you get 2 games, one of which is an upcoming title. Awaiting general power consumption results for ordinary tasks before deciding on this. You could actually double the bandwidth of HBM by using more stacks, like NVIDIA does on their GV100 GPUs - but of course more stacks cost more money (and GV100 costs a fortune, but its a "pro" datacenter GPU). In any case I tend to generally agree. HBM is largely overrated for consumer use. To get an actual bandwidth advantage you would need to use 4 stacks, which costs a lot of money, and at 2 stacks GDDR5x and the future GDDR6 will match or even beat it - at a lower pricepoint at that. My Gigabyte G1 1080, consumes 216W (capped by BIOS) and it still has Power perfcap at that wattage limit. But of course, it's overclocked and it performs very well for that Wattage, between a 1080 reference and a 1080 ti reference. I'd like to switch to AMD in a future, but I hope AMD has a good alternative regarding performance/powerconsumption. If it's just a few watts more worse than nvidia (like 30-50 watt) I'd buy, but not more. At the end, it should help the market and benefit all of us, if nvidia has some competition in the hi-end. Wasn't that Vega Liquid cooled model 345W vs 295W of the air cooled vs 215w of the 56 model. I read several times that these numbers are only GPU power, not the entire card. Don't know if true. I sure hope the 56 model turns out to be a lot faster than the 1070, that's the most interesting one for me. I just wonder. Where is the 4x perf/watt vs whatever. Oh well. It might be on lower clocks. Wow how disappointed are Ryzen 1700/1800 builders right now? A threadripper with 8/16 got snuck in. I'm sure they kept that quiet to keep selling the Ryzen. I had a sneaking suspicion they might do this and luckily I waited to pull the trigger on Ryzen. Now just wait and see how the 1900x gets along. The Vega seems to be a clunker. The 1080 has been around too long now for AMD to upset that market. And now with the ridiculous power requirements. 1000w gpu needed to run just the Vega? A Threadripper build with A Vega card is going to cause so much heating problems inside of cases. As someone else stated you will need a separate power company account to run the computer! An overclocked Threadripper, an overclocked Vega card, you will be able to pop popcorn on top of your rig. That's o.k. I guess if you watch Netflix on your computer. This will also cause degradation of all the electronics in your rig. THREADRIPPER YES! VEGA NAH NOT FOR ME. 8 Core TR with 64 PCIe channels and Quad ram channels?! I am not in the least disappointed really. I got my cpu 3 months ago and it has been running great. Threadripper build would have cost more no doubt. And would have had higher memory bandwidth but it should be roughly the same else so I am all fine. What's different from a few years ago? Other than that we had one generation or so of less powerhungry mid-spec cards? This, plus am4 socket will be there for a while, as a result you can upgrade to a new CPU down the road without switching to a new mobo. HBM isn't the problem, I'm betting the GPU itself is the bottleneck. GNC isn't aging so well - Vega has more serious problems than memory bandwidth and overclockability. Don't forget - Nvidia is also interested in HBM, so whatever negative speculation you have of it clearly isn't true. It isn't often Nvidia follows the footsteps of a competitor so obviously. 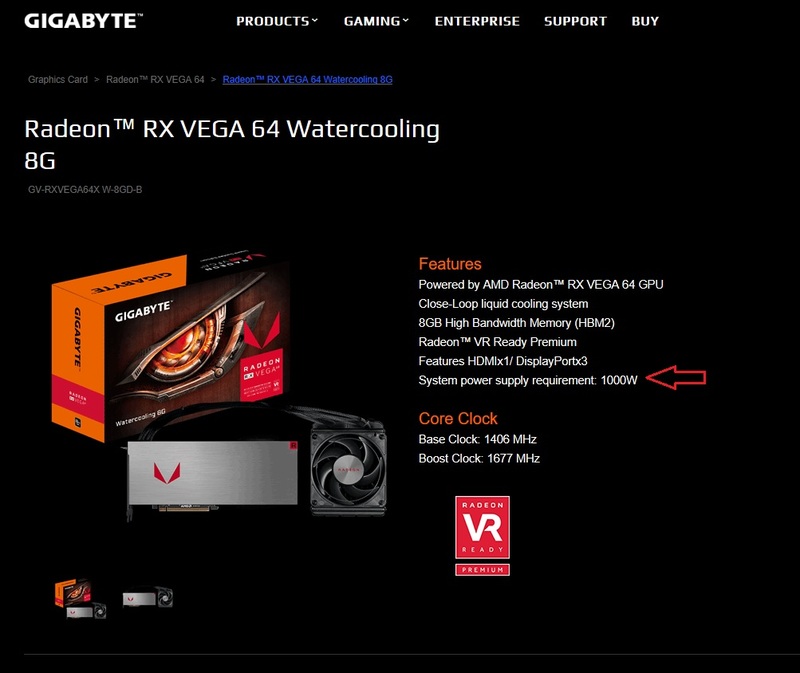 Wow how disappointed are Ryzen 1700/1800 builders right now? A threadripper with 8/16 got snuck in. I'm sure they kept that quiet to keep selling the Ryzen. I had a sneaking suspicion they might do this and luckily I waited to pull the trigger on Ryzen. Now just wait and see how the 1900x gets along. Maybe 1800X users (who didn't get the sale price) are disappointed, but definitely not 1700 users. Ryzen 7 is for a completely different market. You get fewer memory channels, but from what I recall, frequency has a bigger performance impact. You get fewer PCIe lanes, but most people only want 1 GPU, and any other expansion cards can easily be handled by the chipset. You get more M.2 slots, but most people are better off with just 1 (for performance) with a separate SATA drive (for mass storage). Ryzen 7s also have the advantage of more heatsink availability and ITX form factors. 1900X is currently limited to full ATX with almost no coolers to choose from. So all that being said, the only people who would've regretted their purchase are 1800X owners who wanted a little bit extra but settled for less.